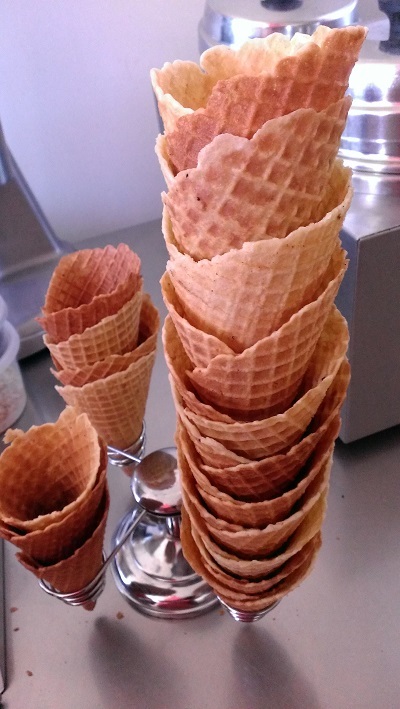 Tara's Organic Ice Cream cones are made fresh daily. We mix the batter from all Organic ingredients. They are then rolled by hand daily in each location. The TOIC cone is one of a kind and available as a regular waffle cone or with black sesame. They are golden with an excellent crunch. A touch of sweetness and a hint of butter. The Black Sesame Cone has a toasty essence and extra antioxidants. Delicious and enjoyable with any ice cream or sorbet.